The Truckster™ LS and LX are multi-tasking vehicles that offer a best-in-class 13hp Kawasaki® gas-powered engine and the ruggedness of 800lb capacity. 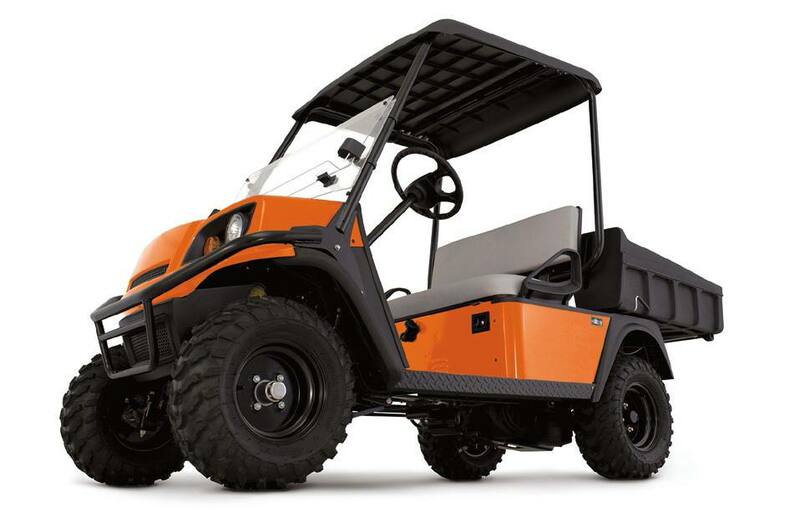 Both models have a limited slip differential that provides better traction with less turf damage in wet or uneven terrain. As with all of Jacobsen’s Truckster utility vehicles, the Truckster LS and LX are designed to make your toughest jobs easier. Polyethylene bed won't rust or wear out providing years of worry-free service. Compact design and up to 800 lb. vehicle capacity is the perfect combination for whatever task at hand. Available lifted suspension allows the Truckster LX to handle rough terrain with ease.